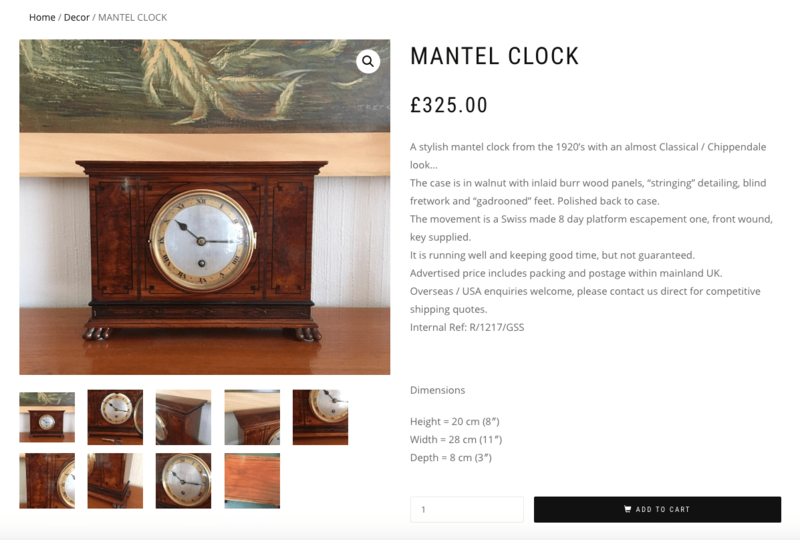 Deviantik is a local antique and 20th century design shop based in Exeter and Honiton. The owner contracted me to create a web shop where he could sell his antique and up-cycled pieces. He wanted the site to look stylish, but also have the functionality of an online shop with great user experience and interface. The brief of the site was to look simple and elegant to fit in with the antiques being sold. We chose black and white as the predominant colours, so that the large images of the items would pop off the page. 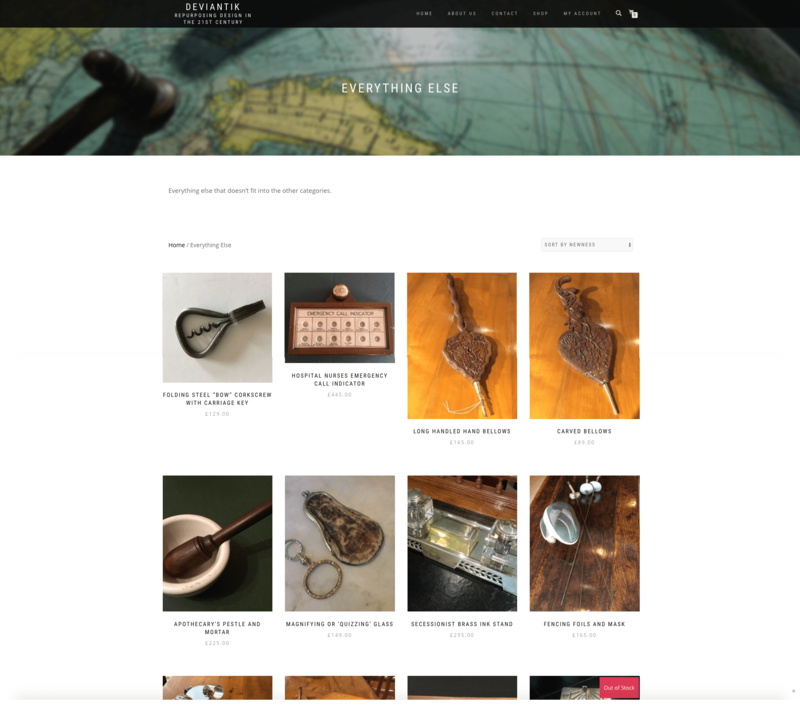 We split the various antiques into five categories with separate pages for each, to aid the customer find exactly what they wanted. Having four items per row makes the item details easier to see, while also allowing customers to view more items at once. We added a feature to filter the items by popularity, price, and how recently the item had been listed to add even more ease to the customer. The product listings also follow the simple and elegant style. Each product includes multiple images that can be magnified for closer inspection. Under the item we added other related items to lure a potential customer towards other interesting items. A customer can then add the item to their cart where they are able to pay with Paypal, credit card, or bank order. A user can also create an account on the site to save their details for easier purchase, all on a secure payment system. For the shop owner, adding a new item to the site is as easy as uploading an item to eBay. The popular shop plugin, Woo Commerce, is what we used to achieve such an easy item upload functionality. I also created a logo to use as a favicon to represent the site across the whole web. It fits in with the overall style, and is easily distinguishable at any size. As someone whose worked in the antique and collectable world for a short time, I enjoyed creating the perfect site for such a business. It is great to provide a way for a business to increase their online presence, and sell their quality products to customers who want them. In the end we created a web shop with a sleek and sophisticated feel with the added functionality, and judging by the amount of items sold on the site, it has worked wonders for my client.